Space. It’s a big old space. Insert awesome picture of space to keep people interested. Check. 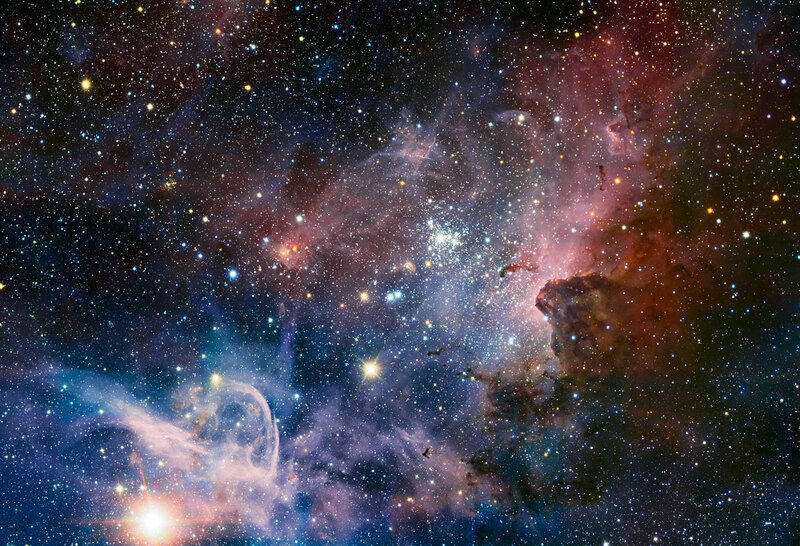 The Carina Nebula – Picture taken by The European Southern Observatory (ESO). What happens here on Earth is insignificant in the universe. That doesn’t mean things that happen here are unimportant – far from it – but in reality, we are tiny. Nothing we have done or can do has much of an impact on the universe. Nothing that happens here on Earth affects the marvellous enormity, complexity and vastness of space. Our lives, this entire planet, our solar system and even galaxy are tiny. Nobody really knows how tiny – relatively – because nobody knows how big the universe is. Or at least how big it is it a specific point in time – given its changing and expanding nature. I really enjoy learning about space, so I have decided to write a series about space. How big (or indeed small) are we really? Will humans ever live on other planets? 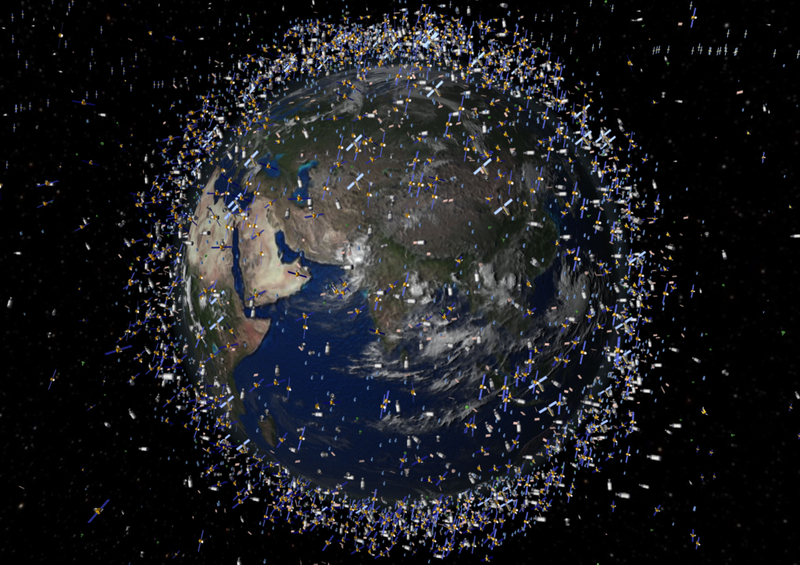 How has our knowledge of space changed things on Earth? There are a few terms I will be using a lot during the course of this series. To help keep us all on the same page, here is how I am going to define them. Everything everywhere! Anything that exists, exists in space. Space can be a completely empty vacuum or it can be full of matter, or waves such as light and sound. If there is something, or the potential for something to be there, it is space. Stuff. Things made of atoms. Tangible objects. Not including electromagnetic waves; like light. The zone of activity in space which contains all known matter. A collection of billions of solar systems. A collection of matter, orbiting a star. That matter includes planets and smaller structures like asteroids. A large body which orbits a star. I have already written next weeks post, so I can tell you with all certainty that I will be exploring the size of the universe. See you then. Last week an American Venture called Planetary Resources, Inc unveiled a plan to send a fleet of spaceship into near space to review the possibility of mining on asteroids. Apparently there are thousands of asteroids close enough to make them attractive as they hold treasures worth fortunes in the form of platinum and other metals of the same group. Precious metals are not the only riches available however, and strangely enough plans are afoot to look for water. Water is an important material in space flight, because it can be used to produce the hydrogen and oxygen needed to power rockets, so an asteroid could represent a kind of modern day re-fueling station. This could make space travel cheaper because once rockets had left the atmosphere they could be refueled in space, eliminating the need to carry the excess weight during lift off. All of this is in the future of course, but the project has plenty of backing from among others Larry Page of Google and filmmaker James Cameron. These unfolding events bring some tricky questions however regarding the exploitation rights of near space objects. At the moment there is actually a subsection of international law called Space Law, governed by the Outer Space Treaty that was signed in 1967. 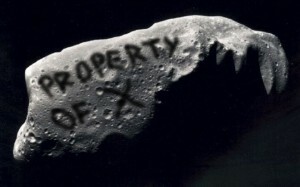 The writers did not envisage such monumental strides in technological advancement however and although the treaty makes clear that States cannot take celestial bodies as their own, they do retain jurisdiction and control over the object if they are the first to land on it. A precedent has already been set as articles collected in Space have already been sold to private bidders by the Russian government. An article in this week’s wired goes into much greater detail. It all looks a bit far fetched at times but supporters claim that the idea is no stranger than deep sea drilling for oil. It reminds me somewhat of the great gold rush events in the US of covered wagons and horses, only this time the means of transport differ and the digging is done by machine. Or maybe they will bring back entire asteroids and break them up on Earth, we will just have to wait and see. This article offers a glimpse at some possibilities. There are obviously plenty of technological improvements required before any of this becomes concrete, but also a lot of legal and ethical issues need to be addressed. As ever one thing is certain, there’s big money in it for someone if it can be done! The world’s most powerful radio telescope is now functioning! One of the best places to put a telescope is in the Atacama Desert, which is on the boarder of Chile and Peru – currently there are around 20 telescopes (both radio and optical) functioning in the area. 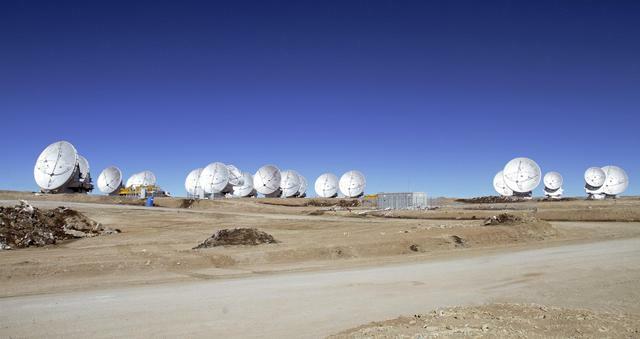 In the last few days, the world’s largest radio telescope, the Alma telescope, has began to function. Currently the telescope is made up of around 20 massive antenna dishes, which work in harmony to produce amazingly detailed pictures of outer space. The project has input from all around the world, with Europe, North America, East Asia and the Republic of Chile forming a partnership, all doing their bit to add more antenna dishes and improve the telescope. When the project is completed, (hopefully within the next 20 years if all goes to plan) the telescope will have a whopping 66 dishes at its disposal, all of which it can use to gaze at the stars in fantastic detail! 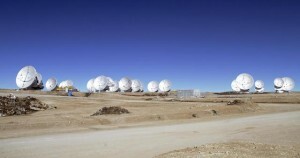 You are probably wondering why the Atacama Desert is such a hotspot for telescope activity. Well there are a number of reasons, but the main ones are that it has clear skies almost all the time, in addition to very dry air – meaning that its hard for humans to breath there due to low oxygen levels, but for the telescopes, that means very little interference from anything in the space above. Furthermore, the desert has many high flat areas, meaning that telescopes can be closer to the atmosphere, meaning even less interference. In addition to this, because the Atacama is a desert, it has virtually no light pollution. Basically it is an astronomer’s dream location! 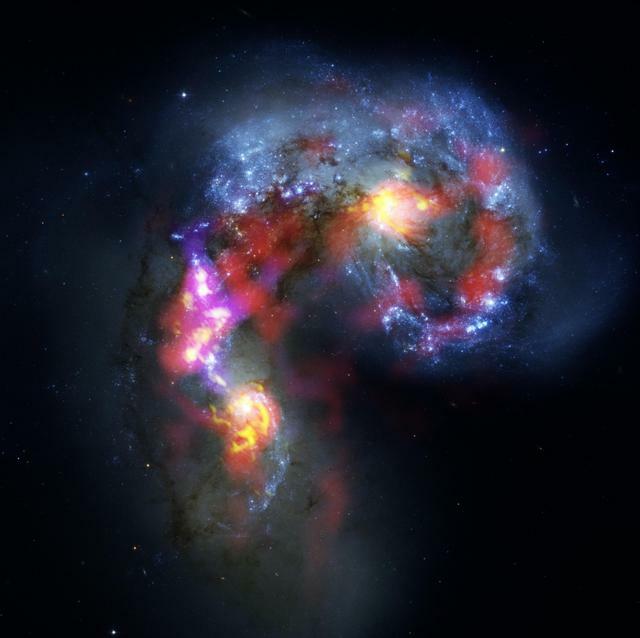 Because the light we can see here on earth is often millions, if not billions of years old, we are able to see into the past when looking up at the sky, using super powerful telescopes like the Alma one. Scientists believe that we will be able to see events that happened just 400 million years after the big bang, due to the light delay, hence enabling us to understand better than ever before the formation of the early universe. The Alma telescope is just one small cog in our planets fascinating scientific road of discovery, however one thing’s for sure: this ‘small cog’ should be able to help us understand a lot more about the universe than ever before!